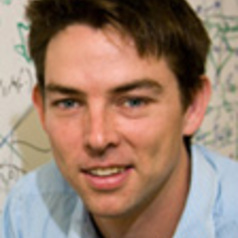 Prof Stace completed his PhD at the Cavendish Lab, University of Cambridge in the UK on quantum computing, followed by postdoctoral research at the Department of Applied Mathematics and Theoretical Physics, also at Cambridge. During this time he was a fellow at Queens' College. He has been a researcher at the University of Queensland since 2006, firstly on an ARC Postdoctoral Research Fellowship, then an ARC Research Fellowship, and currently on a Future Fellowship. His research has largely focused on applying methods from quantum optics to solid state devices for use in quantum information applications, and more recently on error correction protocols. He also works on high precision measurement in collaboration with experimental colleagues at the University of Adelaide, in a project whose ultimate aim is to contribute to the international definition of Boltzmann's constant, and some biophysics. Prof Stace also consults for UniQuest, UQ's commercial arm, on scientific and technical matters.